Parties are awesome and birthday parties are even MORE awesome! But in order to have a great, fun and memorable party you need several ingredients. This is why I want to set up the perfect guide for you who wishes to become the ultimate party-host and or partyplanner! The reason why I love party planning is because it fits my life. I get to plan the events for my family, friends, and for everyone else. I also enjoy DIY-ing a couple of things, making stuff for everyone, and it’s a real challenge to ensure that you stick with your budget, while making sure that everyone will have a great time. Not just that, another wonderful thing about being a party planner is that, there are times I get hired to create some of the most memorable moments of people’s lives. It gives me the opportunity to celebrate, socialize, and have fun with them. 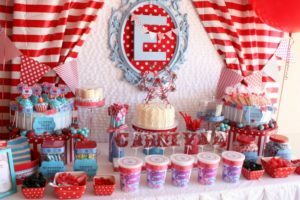 Although I haven’t considered party planning as a full time career, I can already see some of the benefits you can get from it. What could be better than being your own boss, huh? 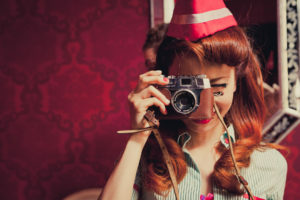 That said, allow me to share some simple tips that could help you organize a great party! Where should you hold the party? Would it be a family get together or a big event? Would you rather have it in your place or at a friend’s house? Aside from that, do you have a specific place in mind, such as a bowling alley, movie house, park, or restaurant? If there will be a couple of guests, it might not be a good idea to do the part at home, and you should consider making reservations at the chosen venue a couple of weeks before the event. Would the party be for a certain occasion or it’s just a random gathering? If the answer is yes, then it’s important to delight the guest of honor and this could be done by setting up a theme that everyone will be excited about. Try to do something that’s very convenient, especially if the party will happen during the weekends. It can also have a wider theme, like an “owl” or “golf” themed party. 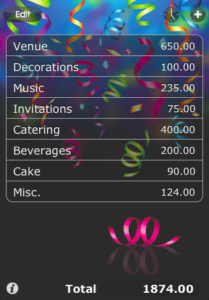 This would be based on where you’re going to have party– the number of guests the venue tolerate? Also, it’s important to determine whether the invited guests are allowed to bring a company or not. This could definitely have an effect on how many heads you have to plan, as well as the food that’s going to be served. If this is your party, then you have to shoulder most of the cost involved. Likewise, you may also be required to beautify even if it won’t happen in your home. Have a budget; how much can you spend? If you’re not ready to spend several hundreds of dollars, then there’s nothing wrong with asking some of your friends or family members if they can contribute in. They want this party, right? Another thing, a good way to deflect the cost is to organize a potluck. Through this, everyone would be forced to chip in, and it’s a fun way to do that– you don’t have to pay for all the food either. Likewise, you can also instruct certain people if they can bring ice, drinks, plates, napkins, etc. If potluck isn’t your thing, then you should start assembling the recipes. Choose only those that could be prepared ahead of time, usually frozen goods that could be warmed up and assembled right away. Create a list of how far in advance each meal can be made, and don’t forget the shopping list! Place an order with your local bakery or delicatessen for this. You can consider hiring a professional that would help you with this, but there’s nothing wrong with asking your family and friends as well. Although you have already sent them an invitation, it would still be nice if you can remind them about the party– especially for busy individuals. Chances are, you want everyone to remember this special day, and even brag about it on their social media accounts. You can easily do that by having a camera ready and take pictures! Aside from that, you can also consider setting up a “photo booth” and place it in a specific area in the room. Look for a piece of fabric, and you’ll have an instant backdrop. Decorate it depending on your liking, and voila! You now have your own photo booth. This can also be a good activity for bored guests. When it’s about time for the guests to leave, it would be nice if you can offer them something that they’d appreciate. It can be a leftover food, party favor, or even something as simple as a cupcake. Show them that you appreciate their presence, and you were really thankful that they took part in this memorable event.